When you’re wearing all the hats of an entrepreneur, it’s no surprise that taxes don’t rank high on the list of things that excite you. If you put tax preparation on the back burner, though, it can end up costing you big bucks. How heartbreaking would it be to have all your hard work go out the window, simply because you blew off paying attention to your taxes? Here, we’ve compiled three of the most common small business tax preparation mistakes we see from our clients and hear about from colleagues so you can avoid making the same errors. When the phone is ringing and customers need help and orders are piling up, filing your receipts is the furthest thing from your mind. But listen—when you wait until tax time to round up all the documents you need to file your return, you’re usually doing it in a rush. When you’re in a rush, things get missed. Mistakes get made. And when it comes to taxes, small mistakes can cost you big time in the long run. 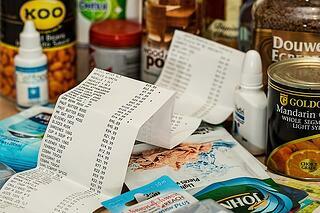 Just a few examples: you may overlook deductions that could save you thousands of dollars because you’re in a hurry. Or, you might be unable to actually take a deduction you deserve and that you were planning on because you didn’t hold onto the records to back it up. The moral of the story? Keep consistent records all year long. One way to ensure this gets done is to manage all your scheduling through a cloud-based calendar tool like YouCanBook.Me, which our CEO Eddy swears by. In order to set a meeting or get a slice of your time, a person has to book a dedicated window using this platform (which you can send to them in a simple email link). From your calendar, you can block off chunks of time that are off-limits to meetings, and the calendar will automatically make those times unavailable to your colleagues when they’re trying to schedule with you. Use this function to set aside a 30-minute window each week strictly for catching up on record-keeping. 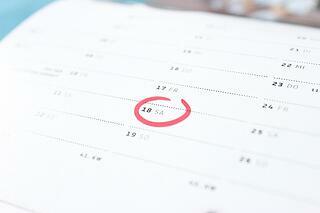 When we think of tax time, April 15 is the dreaded date that most commonly comes to mind. It’s when we envision writing a big fat check to Uncle Sam to cover our behind for the year that passed. But the American public has it all wrong. Technically, April 15 isn’t the day you’re supposed to sign on the dotted line and send off your check. According to America’s tax system, if you’re filing your taxes properly you should be making quarterly payments as you earn money throughout the year. But wait—don’t I pay tax based on how much I make for the entire year? How could I pay tax on money I don’t know if I’ll earn yet? The answer to the first question is yes. Your overall income taxes are based on your annual income. When you work for an employer and have a salary, this is easy. They simply withhold a percentage of your salary each month, since you’re paid the same amount on every check throughout the year. But when you’re a small business owner, the checks don’t come in every two weeks like they do when you work for an employer. So, the answer to the second question might come as a surprise: you guess. Yep, if you’re filing and paying your taxes correctly, you should be estimating how much you’ll make all year long and making payments to the IRS accordingly, four times per year. It's not fun to pay four times a year instead of just once, but there is a major upside: when you pay estimated taxes, the worst part is already over by the time April 15 rolls around. The SBA has a good resource to guide you through estimating and making quarterly payments for small businesses. As entrepreneurs, we want to believe we can handle anything. After all, an inherent need to “do it ourselves” is how we got here in the first place! Your taxes are one place where you shouldn’t wing it. A virtual bookkeeping service or dedicated small business accountant costs less than you might think, and can help you more than you might ever imagine. To prove it, we’ve lined up a side-by-side comparison of not just our own rates for businesses like yours, but the rates of several other bookkeeping services to give you an idea of how much value an outsourced accounting service can provide. You’ll find that breakdown here. Make sure you’re not making other financial mistakes in your business! Subscribe to our blog and get each post on entrepreneurship delivered to your inbox.